Following on from the news that we’ll be teaming up with Ravelry for hassle-free EU digital pattern sales, we wanted to provide designers with an update on our progress so far. We’re working very hard with Casey at Ravelry to get this ready in time ahead of January 1st, so we really appreciate your patience as we iron out the final details. To read about the upcoming changes to the way VAT is collected for digital services sold to EU countries and why we’ve teamed up with Ravelry, read our previous blog post here or Casey’s updates on Ravelry. 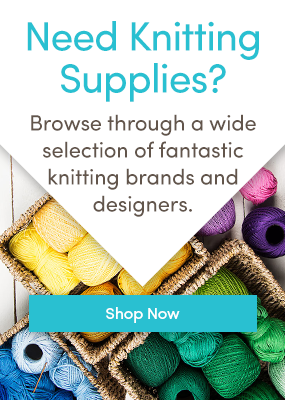 Designers will have the option to make some or all of their knitting or crochet patterns on Ravelry available to EU customers through LoveKnitting. EU customers who ‘Buy it now’ on these Ravelry pattern pages will be directed to the Shopping Basket on LoveKnitting and can then create an account and checkout through our site. Making your patterns available to EU customers in this way will be entirely optional. How will I make my Ravelry patterns available through LoveKnitting? To make your patterns available to EU customers through LoveKnitting, you will be asked to import your patterns into the ‘LoveKnitting Designers’ platform so when an EU customer chooses to buy it, it can be processed seamlessly at checkout. As well as being sold on Ravelry, patterns that you import will also be for sale on LoveKnitting to a large global audience of knitters and crocheters. You will be able to select which Ravelry patterns you want to make available through LoveKnitting and import multiple patterns (including PDFs, photos) at once. All mandatory fields will be automatically populated from the information you’ve already put into Ravelry. If you want, you can then also add info on materials used – yarn, needles and accessories. Lots of LoveKnitting customers like materials recommendations so that they can buy these when they buy the pattern. Patterns imported from Ravelry will be auto-approved if they have a high number of Projects, Favourites and Queued Projects. Other patterns will be reviewed to make sure they meet LoveKnitting’s criteria, which can be found on our general FAQs page. We hope you will be able to start importing your designs in mid-December. Watch this space! I am already a LoveKnitting Designer, what do I have to do? Nothing, unless you have patterns on Ravelry that you’d like to make available to EU customers on LoveKnitting or you want to adjust pricing to take the new pricing structure into account. If you already have patterns for sale on LoveKnitting, you will have the option to match these against the corresponding ones on Ravelry. If you choose to import designs from Ravelry that are already on LoveKnitting, the system will update the information in LoveKnitting with that from Ravelry. How will my patterns be priced on LoveKnitting? We’ll ask that you set your pattern prices in £GBP. We’ll help with currency conversion when you import the patterns and you can also adjust the prices if you need to. At first, we will ask you to set these prices exclusive of VAT. EU customers will then pay the price of the pattern with the appropriate VAT added, dependent on their location. There will be no VAT applied in the rest of the world. In all instances, the price displayed to LoveKnitting customers on LoveKnitting.com will be the price they pay, unless they are not shopping from their home country. The profit you receive will be the same and will not depend on the buyer’s location. The table below shows how a pattern with a price set at GBP £4.00 excluding VAT would appear to customers in a selection of EU and non-EU customers and the net price you would receive. Does this impact me if I’m based outside the EU? Yes, the EU VAT rules are changing to become based on the location of the customer from January 1st 2015. VAT will need to be collected on any cross-border digital pattern sales made in the EU, regardless of the place of supply. Click here for a full list of FAQs on making Ravelry patterns available to EU customers through LoveKnitting or you can browse the Ravelry Patterns. If you have any other questions that aren’t answered in the Frequently Answered Questions, please post them below and we’ll get back to you as soon as we can. Just a short note concerning VAT in Germany: patterns don’t go with the regular VAT of 19%, but the reduced one of 7% (because they are “urheberrechtlich geschützte Werke” – means: copyrightable material). Please recheck, because it would be to sad if you would charge too much! So sorry for the delay in getting back to you! Thank you for getting in touch. We had been advised that no reduced rates apply for digital patterns, but are re-confirming with HMRC. If we do hear anything differently, we will let you know. Can you please give precise numbers for this? It makes a difference because our patterns will be in limbo to EU customers until approved, and with the number of patterns on ravelry, manual approval could take a while. So sorry for the delay in getting back to you! We’re re-assessing the auto-approvals numbers because of the high volume of patterns we’re getting through. Rest assured we’re working through the patterns as quickly as we can to ensure they’re up on site and for sale as soon as possible. Apologies for the delay and thank you for your patience. I understand that, in the UK, there is a new concession to lessen the disadvantage to small craft designers. If the seller is currently under the limit for VAT in the year (i.e. you have not got the £70k worth of sales to register for VAT), then that seller will not be liable to charge VAT on UK sales (strictly UK only). How would you plan to handle this? – I should think it will affect lots of indie designers…..
You’re quite right, this concession applies to those under the VAT threshold in the UK. As LoveKnitting is VAT registered, we have to apply VAT to our UK sales. As independent designers effectively sell to us and we sell to the customer on their behalf, we still have to collect VAT on UK to UK digital pattern sales. It’s this set up that allows LoveKnitting to handle VAT for cross-border EU sales too. Hope this helps! I am sorry, I don’t see how to automatically populate the pattern fields with information from my Ravelry patterns. Help? I have lots of patterns to upload!